Recently refreshed Reserve Menu Cover range features a textured cover with soft-touch feel, produced from top-quality Italian material. The hard wearing finish is suited to heavy use and can be cleaned with a “damp” cloth. 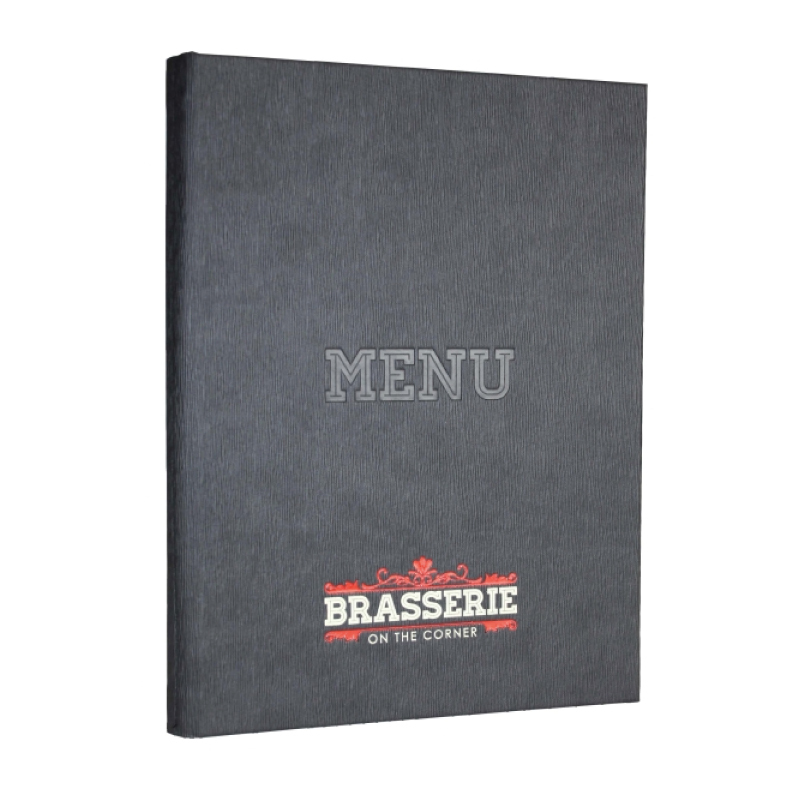 Contemporary in design, Reserve Menus can be printed or embossed to beautiful effect. Add your restaurant / bar name or logo to the front of the Menu from as few as 10pcs. Choose from a range of stock colours and personalise the design with brass screws, corner retainers or shoe lace fittings.